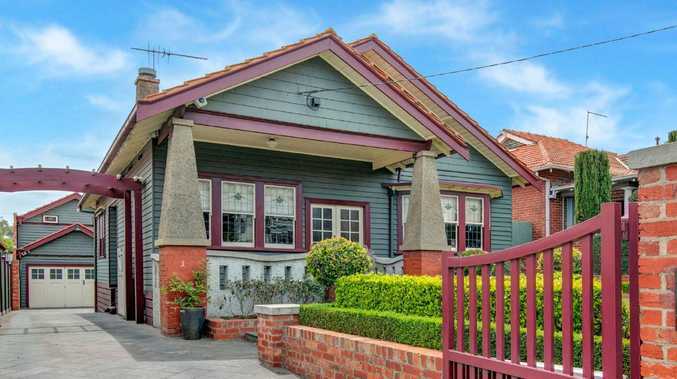 There is a glimmer of hope for house prices. 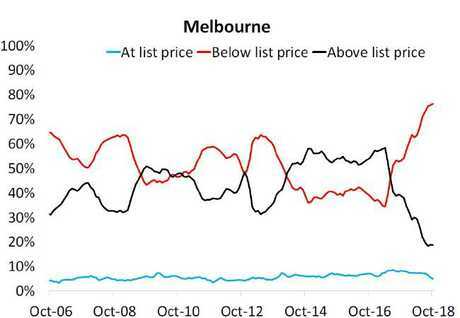 The number of sellers who ultimately accept less than their listed price has roared back up over the past three months, according to data from CoreLogic, suggesting the housing market may be returning to normal. Over the three months to October this year, more than 75 per cent of properties sold for less than they were listed for. In comparison, over the same period last year, 70 per cent of properties sold for less than the listed price, while in October 2014 less than 50 per cent of properties sold for less than their listed price. 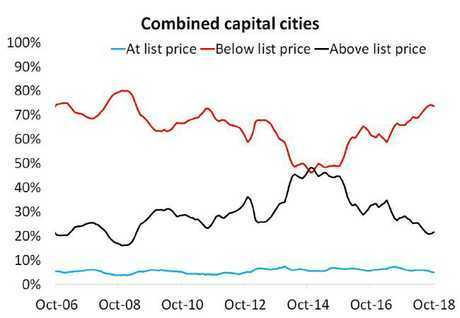 This is important as the trend of the past 12 years is that the majority of homes sold in the majority of capital cities sell for less than their listed price, suggesting the important truth: buyers always want to pay less than sellers think their house is worth. The story becomes all the more stark when looking at Sydney and Melbourne, the beating heart of the past few years of the Australian property market, where an overwhelming number of homes sold for more than their listed price. CoreLogic head researcher Cameron Kusher said Sydney and Melbourne sellers over the past few years had come to expect their homes would sell for more than they listed. But the long-term trend was the opposite. "It highlights that vendors haven't adjusted appropriately their price expectations just yet," he said. "What this data highlights is that purchasing a property is about negotiation." Clearance rates are one indicator prices need to adjust to new expectations. They have fallen from a peak in 2017 down to a weighted average of 43.4 per cent nationally, according to CoreLogic data. The worst city last week was Perth, where only 20 per cent of homes sold at auction, while Melbourne and Adelaide were tied at first with 46.2 per cent of homes selling. Many homes fail to sell as bidders aren't buying the prices sellers are looking for, with some experts tipping the auction system as exacerbating the problem. 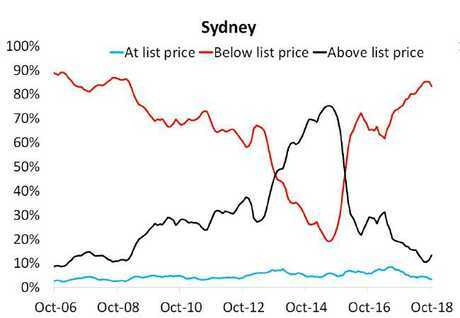 But this CoreLogic data looks at private deed sales, which represent the absolute lion's share of home sales in Australia, suggesting the phenomenon is spread more broadly across the housing market. 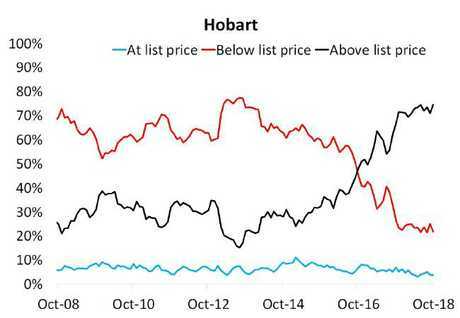 However, the one exception to the market at the moment, Hobart, still appears to have its sights set on continued price growth, with CoreLogic data showing sellers continue to get more than they're asking for. Real Estate Australia Group's chief economist Nerida Conisbee told news.com.au the data showed the housing market was moving to a seller's market. 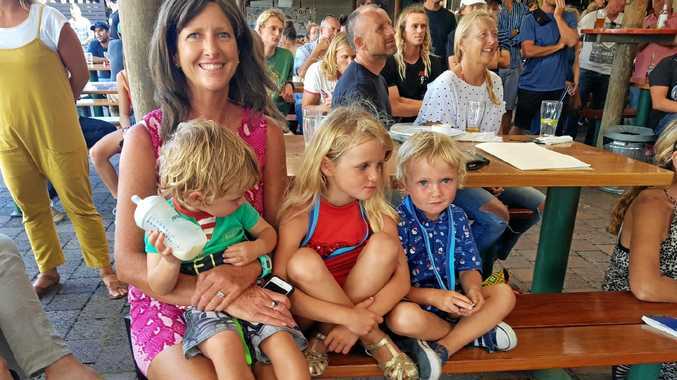 "We did see a massive run-up in prices in Melbourne and Sydney and it does take vendors time to adjust to what the pricing is doing," she said. "People would prefer to get the prices they achieved last year." She said the CoreLogic data should raise questions about what a normal market should be and whether the current price declines were bad for Australia. "For the average person that's been in their home for five years it doesn't mean much," she said. "It only means something if you're looking to sell now or you're in a distressed financial situation." House prices in Australia were 44.8 per cent higher over the past decade and 209.9 per cent over the past 20 years, with CoreLogic data suggesting prices are now back to where they were at the start of 2017. Ms Consibee said that perhaps a normal stable market was one "where vendors want a price and prices people are willing to pay are slightly lower". "People always want the best price possible for their homes," she said. This view was seconded by CoreLogic's Cameron Kusher. "I don't necessarily think a long period of very little movement in the Sydney and Melbourne market is a bad thing," he said. "You've seen a big deterioration of affordability over the last few years."